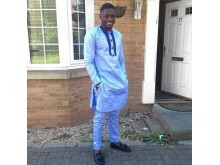 Homicide detectives have renewed their appeal for witnesses and information on the first anniversary of the murder of Abraham Badru in Hackney. 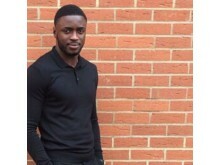 Abraham, a 26-year-old personal trainer, died on 25 March 2018 in Ferncliff Road, E8 after being shot as he opened the boot of his car. A year on, officers need to speak to some specific witnesses who may have information vital to their enquiries. 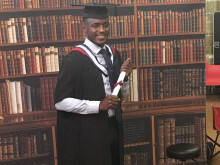 A £20,000 reward remains on offer for anyone with information leading to the arrest and prosecution of those responsible for Abraham's murder. 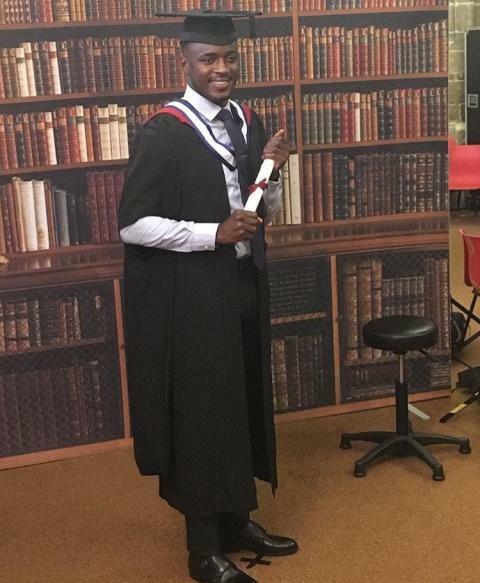 Detective Chief Inspector Noel McHugh, from the Homicide and Major Crime Command, said: "It's now been an entire year since Abraham was gunned down on the street and while our investigation has made significant progress, we still don't know why he was killed in such a brutal way. "It is hard for everyone involved to understand what could have led to this murder, we need someone to tell us why this happened. We have made several appeals over the past year but there remain a number of people who have not come forward. "Shortly after 11pm that night there was a man and woman in Ferncliff Road. The woman was white and wearing a three-quarter length Puffa-style coat. She was walking along Ferncliff Road in the direction of Foxley Close, really near to where the murder took place. "The man was also white and wearing shorts. He was seen a short while after the woman, also walking in Ferncliff Road. Everything would suggest that these are local people and we need to speak to you. Despite the passage of time, I am sure they would remember what happened just minutes later. "I am also really keen to speak to the person who called the police incident room in June 2018. The caller was ringing on behalf of a friend who I believe holds really important information and could have seen something vital at the time of or immediately after Abraham's murder. If you're that person please call us back. "I personally feel deeply troubled and frustrated when I speak to Abraham's courageous mother and I have to explain the silence that has descended amongst the community. I do not know why there is a silence. I appreciate that people may be scared by the very nature of the murder within their community. But there are other ways to provide us with information rather than calling police directly - you can speak to the charities Crimestoppers or Fearless completely anonymously. They have amazing track records of helping to remove dangerous people from our streets, a desire we all share. "I do believe people in the right circles have information and are talking about Abraham's murder - maybe there is a mother or partner out there who has information or even a confession from their son or boyfriend. Maybe that mother or partner is wrestling with their conscience about what is the right thing to do. I know it is a huge step to call, but consider the pain that Abraham's mother is going through; you could remove the pain and you will make Hackney safer for your family and everyone who lives and works there." In a statement on the anniversary of the murder, Abraham's family said: "There is still no justice for us since his killer is still on the loose. If you have any information that may be related to the case, we implore you to come forward anonymously. "We ask that you empathise with us in finding justice for a man who put the safety of others before himself. Our family cannot move forward without finding peace in knowing that Abraham's killer has been captured. Time never stops but we continue to speak his name, knowing that justice will be served, no matter how long it takes. "To mark this date, we pay homage to Abraham's life by honouring the love he shared, the peace he omitted, and the discipline he demonstrated. Most importantly, his integrity and selflessness. Abraham: you will always be loved and forever in our hearts." Abraham had spent Sunday 25 March 2018 shopping, collecting a takeaway and seeing his father. Between 22:20 and 22:40hrs he visited a woman before travelling home. During the journey home he had a phone call with another woman lasting 44 minutes. At 23:11hrs he was fatally shot while still on the phone. Police were called to the scene following reports of gunshots heard. Abraham died at the scene from a shotgun wound to the chest. Moments after the shooting, a black male believed to be wearing a black Puffa-type jacket made off from the scene on foot, before getting on a bicycle. He had a rucksack on his back. The bicycle is described as white and didn't have any lights. On 22 November 2018, detectives arrested an 18-year-old woman on suspicion of conspiracy to murder. She has been released under investigation. Anyone with any information is asked to contact the police incident room in the strictest confidence on 020 8785 8099. Alternatively, to remain anonymous call Crimestoppers on 0800 555 111 - they will not ask your name or trace your call. You can also visit www.fearless.org to pass on information anonymously. In addition to witnesses and those with information, detectives also wish to speak with anyone who knew Abraham but has not yet been in contact with police.